Third retail re-issue of 'You Only Live Twice' from 1992. Warner Home Video re-issued the Bond films onto the VHS retail format for the third time to celebrate the 30th Anniversary of James Bond. 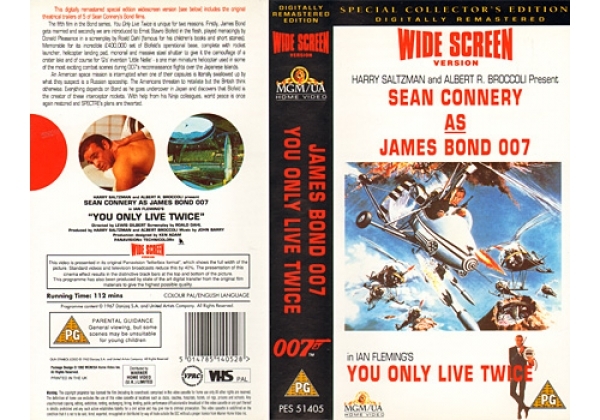 Or find "You Only Live Twice (widescreen)" on VHS and DVD / BluRay at Amazon.